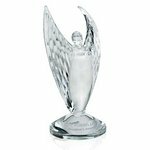 Engraved crystal figure awards and custom eagle statue trophy awards for sales or employee recognition. 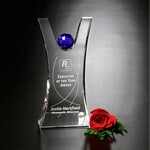 AWR661 Maritime Sailboat - Rosewood/Gold 12.5 in. 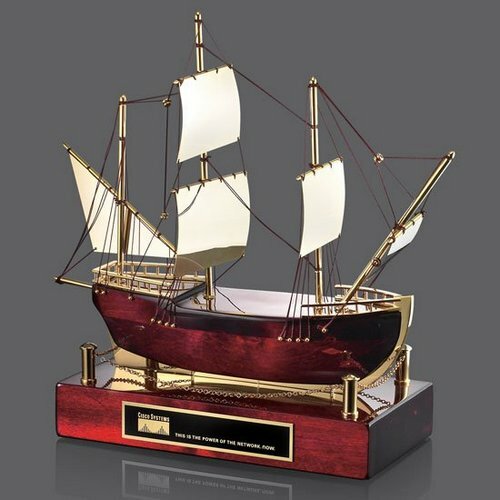 View this Maritime Sailboat - Rosewood/Gold 12.5 in. 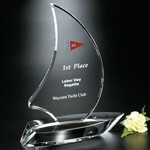 View more products like this Maritime Sailboat - Rosewood/Gold 12.5 in. 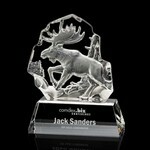 All of our crystal figure awards and animal figurine trophy awards, including eagle awards, Inukshuks and statue awards can either be shipped blank or combined with an engraved base for award presentations. 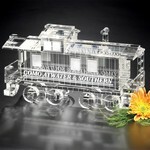 Spirit Rock Crystal Lighthouse 7 in. 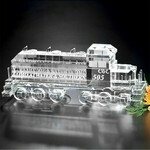 Spirit Rock Crystal Lighthouse 10-3/4 in. 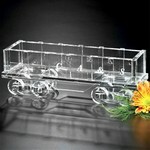 Journey Point Crystal Lighthouse 9-1/2 in. 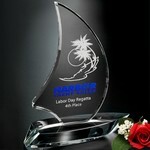 Sailboat Optical Crystal Award 8 in. 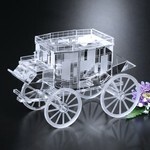 Stagecoach on Black Base 4-1/2 in. 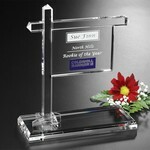 Real Estate Sign 7-1/2 in. 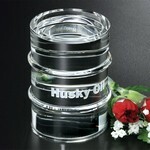 Small Crystal Oil Barrel 2-3/4 in. 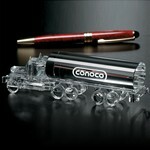 Large Oil Barrel 3-1/2 in. 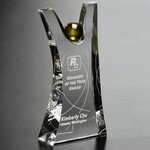 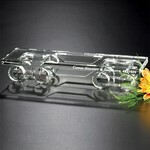 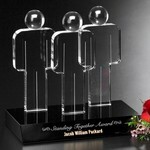 Unity Award People Theme Award in Crystal 6-1/2 in. 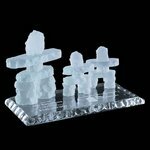 Inukshuk - Frosted 2.5 in. 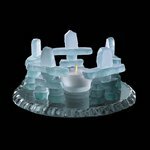 Inukshuk on Albion - Frosted 2.5 in. 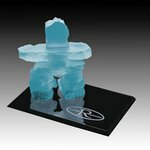 Inukshuk on Ebony - Frosted 2.5 in. 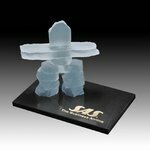 Inukshuk on Jade - Frosted 2.5 in. 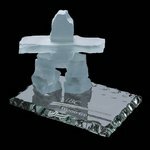 Inukshuk on Marble - Frosted 2.5 in. 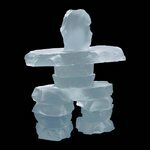 Inukshuk - Frosted 3.5 in. 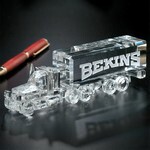 Inukshuk on Albion - Frosted 3.5 in. 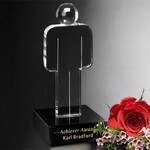 Inukshuk on Ebony - Frosted 3.5 in. 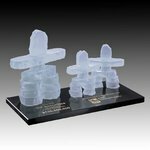 Inukshuk on Jade - Frosted 3.5 in. 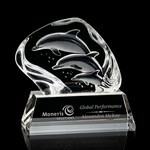 Inukshuk on Marble - Frosted 3.5 in. 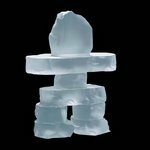 Inukshuk - Frosted 4.5 in. 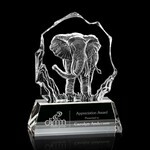 Inukshuk on Albion - Frosted 4.5 in. 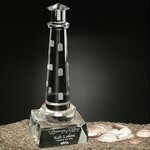 Inukshuk on Ebony - Frosted 4.5 in. 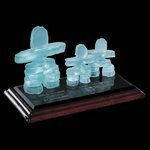 Inukshuk on Jade - Frosted 4.5 in. 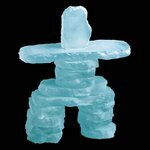 Inukshuk on Marble - Frosted 4.5 in. 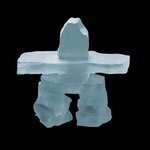 Inukshuk - Frosted 6 in. 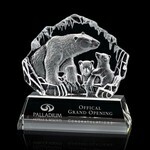 Inukshuk on Albion - Frosted 6 in. 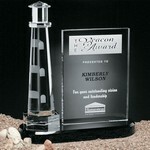 Inukshuk on Ebony - Frosted 6 in. 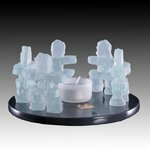 Inukshuk on Jade - Frosted 6 in. 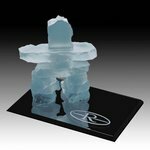 Inukshuk on Marble - Frosted 6 in. 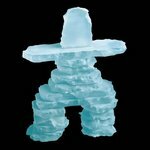 Inukshuk - Frosted 7.5 in. 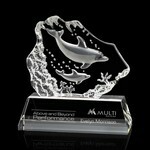 Inukshuk on Albion - Frosted 7.5 in. 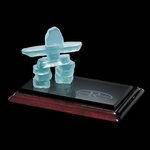 Inukshuk on Ebony - Frosted 7.5 in. 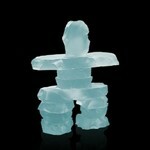 Inukshuk on Jade - Frosted 7.5 in. 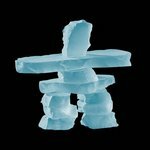 Inukshuk on Marble - Frosted 7.5 in. 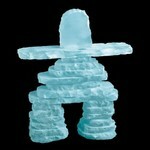 Inukshuk - Frosted 9 in. 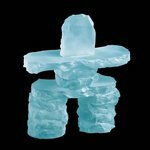 Inukshuk - Frosted 10.5 in. 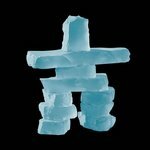 Inukshuk - Frosted 12 in. 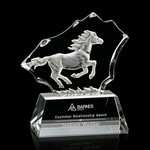 Raging Bull Figurine on Black Base - 6 in. 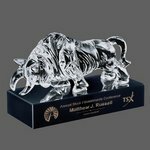 Raging Bull Figurine on Black Base - 8 in. 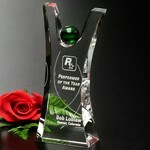 Raging Bull Figurine on Black Base - 10 in. 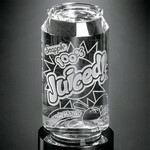 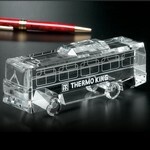 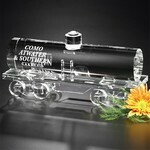 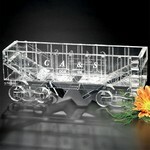 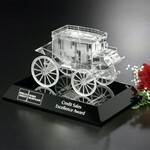 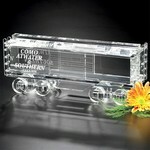 All of our crystal awards and crystal figurines may be purchased separately as corporate gifts.